The Kongsberg Maritime Ltd. Camera group Systems & Projects Team delivered the first set of cabled IP Digital Still Camera Stations (CAMDS) to the University of Washington. The delivery is for the regional cabled observatory component of the Ocean Observatories Initiative (OOI) program in the northeast Pacific Ocean off the West Coast of the United States of America. 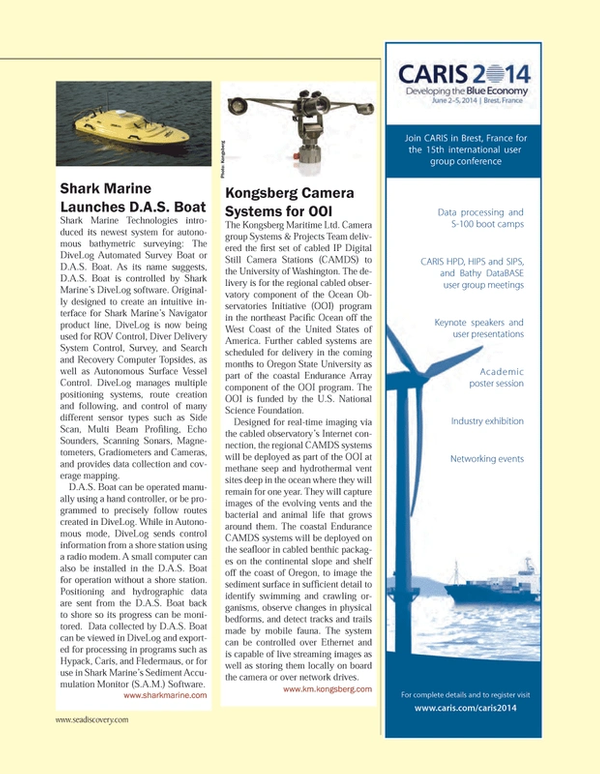 Further cabled systems are scheduled for delivery in the coming months to Oregon State University as part of the coastal Endurance Array component of the OOI program. The OOI is funded by the U.S. National Science Foundation. Designed for real-time imaging via the cabled observatory’s Internet connection, the regional CAMDS systems will be deployed as part of the OOI at methane seep and hydrothermal vent sites deep in the ocean where they will remain for one year. They will capture images of the evolving vents and the bacterial and animal life that grows around them. The coastal Endurance CAMDS systems will be deployed on the seafloor in cabled benthic packages on the continental slope and shelf off the coast of Oregon, to image the sediment surface in sufficient detail to identify swimming and crawling organisms, observe changes in physical bedforms, and detect tracks and trails made by mobile fauna. The system can be controlled over Ethernet and is capable of live streaming images as well as storing them locally on board the camera or over network drives.